People with cluster headaches can have as many as 8-headaches per day with headache bouts lasting for weeks or even months. The current treatment is injection with the drug sumatriptan, but frequent use of the drug isn't recommended because of the risk of adverse effects. High-flow oxygen is also used to treat cluster headaches, but its use is limited because of a lack of good quality controlled studies. This new health study included 76 adult patients, age 18 to 70, with either episodic cluster headache (57) or chronic cluster headache (19). During four cluster headache episodes, the patients alternatively received high-flow oxygen (inhaled oxygen at 100-percent, 12-liters per minute, delivered by face mask, for 15-minutes at the start of the attack) or a placebo (high-flow air). The headache study found 78-percent of patients reported being pain-free or having adequate relief within 15-minutes of receiving high-flow oxygen, compared with 20 percent of patients after they received high-flow air. High-flow oxygen also provided better pain relief at 30 and 60-minutes. No serious harmful side effects were reported after high-flow oxygen treatment, according to the report published in the Journal of the American Medical Association. Comment from Dawn in Illinois: Hi, I know some things that cause headaches for me really bad. Perfume, cologne, scented laundry detergent & fabric softener. I have to buy All Free & Clear laundry detergent. I don`t use fabric softener. This is thought to be the first adequately powered trial of high-flow oxygen compared with placebo, and it confirms clinical experience and current guidelines that inhaled oxygen can be used as an acute attack therapy for episodic and chronic cluster headache," wrote Anna Cohen, of the National Hospital for Neurology and Neurosurgery in London, and colleagues. This work paves the way for further studies to optimize the administration of oxygen and its more widespread use as an acute attack treatment in cluster headache, offering an evidence-based headache pain treatment option. Oh my aching head! Nearly everyone has had a headache. 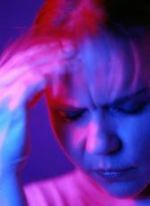 The most common type of headache is a tension headache. Tension headaches are due to tight muscles in your shoulders, neck, scalp and jaw. They are often related to stress, depression or anxiety. You are more likely to get tension headaches if you work too much, don't get enough sleep, skip meals or drink alcohol. Other common types of headaches include migraine headaches, cluster headaches and sinus headaches. Most people can feel much better by making lifestyle changes, learning ways to relax and taking pain relievers. Headaches are caused by many things, but serious causes of headaches are rare. Sometimes headaches warn of a more serious disorder. Let your doctor know if you have sudden and severe headaches. Seek medical help immediately if you have a headache after a blow to your head, or if you have a headache along with a stiff neck, fever, confusion, loss of consciousness or pain in the eye or ear. Pain relievers - also called: Analgesics, Pain medicines, are medicines that reduce or relieve headaches, sore muscles, arthritis pain or many other aches and pains. There are various kinds of pain medications, and each one has its advantages and risks. Some types of pain respond better to certain medicines than others. Each person may also have a slightly different response to a pain reliever. Over-the-counter - (OTC) medicines are good for many types of pain. There are two main types of OTC pain medications: acetaminophen (Tylenol) and nonsteroidal anti-inflammatory drugs (NSAIDs). Aspirin, naproxen (Aleve) and ibuprofen (Advil, Motrin) are examples of OTC NSAIDs. If OTC medicines do not relieve your pain, your doctor may prescribe something stronger. Many NSAIDs are available at prescription doses. The most powerful pain relievers are narcotics. These drugs can have serious side effects. You must use them only under a doctor's medical supervision.